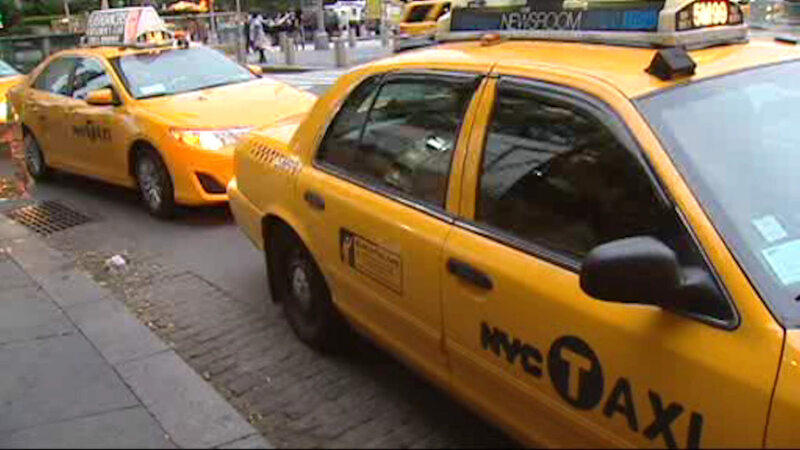 NEW YORK (WABC) -- Taxis in New York City will soon have access to the same ride-sharing technology as other ride-hailing apps that operate in the city. The startup behind the Bandwagon app and the technology group behind the Arro app will team-up to offer split trips and fares to everyone who uses their apps. When the added service is up and running, NYC taxi passengers will have access to 8,000 taxis citywide. Currently users of the Arro app can only order and pay for single ride taxis across the city, while users of the Bandwagon app can get taxis at LaGuardia Airport's Terminal B, C, and D, and JFK Airport's Terminal 4 and 5. The added ride-sharing service will begin at New York City airports this month and be operational citywide by the end of this year.